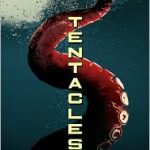 I’m happy to report that the sequel to Cryptid Hunters…”TENTACLES” is now available in a trade paperback. $6.99 at your local bookstore, or you can order it online at Amazon, Barnes and Nobel, etc. Read it. Let me know what you think. I’m working on the third book as I post this. This sequel was really good, thanks for being the only author whos kept me intrested in their series. it was amazing! my fav book ever. when does the third book come out?